Britt Daniel, Dan Boeckner, and Sam Brown are all successful seasoned musicians in their own right. The formation of super group Divine Fits sparked intrigue and stirred up speculation about whether a band could be more than the sum of its talent. 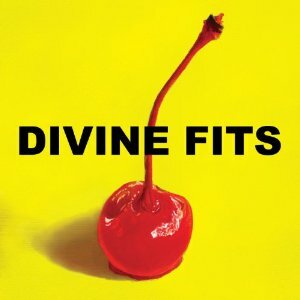 Speculation ends with the release of the band’s debut album appropriately titled A Thing Called Divine Fits. The verdict? Just short of divine. Daniel, Boeckner, and Brown’s first effort together will likely be a feisty contender for a spot on many Best of 2012 lists this year. Each of the tracks on the album could solidly and confidently stand alone as a hit single, but the tracks’ distinction leads to an album whose aftertaste lacks cohesion — and that lack of cohesion is what holds A Thing Called Divine Fits back from greatness.